Home to famously straight-faced Beefeaters, fire throwing street performers, red telephone boxes, and Queen Elizabeth II of England, London is a unique mixture of historic buildings, modern architecture, British heritage and international culture. The city of one of the most visited capitals in the world and, regardless of your interest, there’s plenty to see in this metropolitan city. You’ve probably already heard of the famous London Eye, Buckingham Palace, St. Paul’s Cathedral, and the Tower of London where too many of Britain’s monarchs were imprisoned and beheaded and where the Queen still stores her most valuable jewels. Other top London attractions include The London Bridge Exhibition, Kew Gardens, Madame Tussauds, and the Emirates Arsenal Stadium. While you’re in the city you’ll be able to choose from walking tours, cycling tours, Hop-On Hop-Off Sightseeing Boats and Bus, catching an iconic Black Cab, or travelling like a local on the underground. 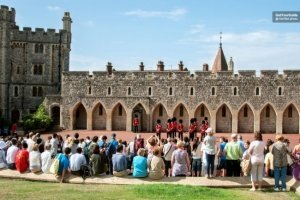 While you’re in England you might also like to take a break from the busy city to visit some on Britains charming countryside on a full day tour of the Cotswolds, Oxford, Stonehenge, or Windsor Castle. You may not have time to visit all the sights, museums and attractions that London has to offer therefore we’ve made this page to highlight the very best city tours and the attractions which should certainly make it to the top of your list. This is a tour of the fairy-tale land of Harry Potter and his friends. For getting to the Warner Bros Studios, a transfer from and to London is available. The route takes visitors to various places recognizable from the popular series. Travel from London to the Warner Brothers Studios by a double-decker bus. Visit iconic places from the film series. Get yourself acquainted with related props and sets. Transfer from the British capital by a double-decker bus. An option between morning and afternoon departures. What Travelers Say about it? Fans of the Harry Potter series were very enthusiastic about visiting this place. Even people that haven't watched Harry Potter had great fun and an entertaining time at the studios. This tour is right for anyone who is after great entertainment, regardless of whether you are fan of this particular film series. Tours of the Warner Bros Studios is suitable for all ages. 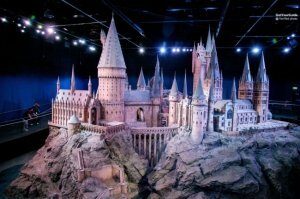 A visit to the Warner Bros Studios and the world of Harry Potter. An opportunity to tour iconic places and locations from the popular film series. 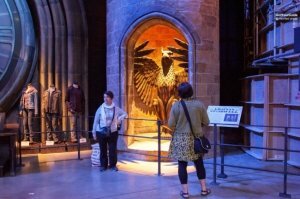 Have the chance to see costumes and props and magical tricks from the wizarding world. Benefit of a round trip from London to the Warner Bros Studios. See Dumbledore's office, the Great Hall and other recognizable places from the film series. Transfer to the Warner Brothers Studios from downtown London. For the most part, tourists were delighted for having an opportunity to visit this film-making institution. They spoke positivly about the staff and had opportunities to try interactive activities. 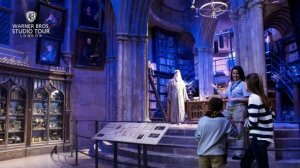 The Warner Bros Studios is a must-visit for fans of Harry Potter and adventure enthusiasts. The Studios cater for all ages. Duration: In regular circumstances, the transfer lasts between and hour and 1:30 hours. A convenient transfer from Stansted Airport to Central London. Departures of buses are in accordance with landings of airplanes. A hassle-free and economic airport transfer. Reach London from Stansted Airport in a comfortable and time-efficient fashion. Examine attractions of London as you pass by. Transfer either from the airport to London or the other way around. Power sockets and complimentary Wi-Fi. In general, past users of this service are very satisfied with the quality of service. They also valued the performance of the staff. 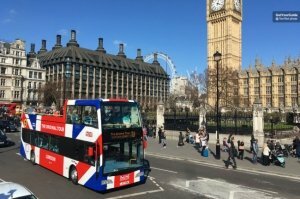 If your plane lands in Stansted Airport, this bus service is one of the best value and efficient ways for you to reach the capital of the U.K.
A visit to one of the top attractions of the British capital city. Touring of the former stronghold, prison and palace. An overview of one of the most historic places of London and England. Trace history of the place that began with William the Conqueror, the winner of the Battle of Hastings. Get around the fortress's grounds and hear interesting stories about the complex. Visit the place where Anne Boleyn, the 2nd wife of Henry Tudor, lost her life. A guided tour by a Yeoman Warder. Access to the exhibition of the Crown Jewels of Great Britain. In general, travelers have a high opinion about their visit while some of them underline that every place open to the public is must-see. They also had a highly informative and entertaining tour of the Yeoman Warder. 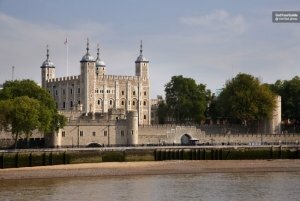 A visit to the London Tower is especially interesting for people interested in history. The attraction is suitable for adults and children. Duration: Up to 2 hours. A visit to one of the most famous Neolithic sites in the world. A journey back in time to learn how people of Neolith lived. The place boasts one of the most recognizable constructions by stone on earth. Take extraordinary photos of the Stonehenge. Examine the collection of monoliths from a close distance. See Neolithic houses and artefacts. A visit to the Neolithic locality and the exhibition centre with excavated artefacts. Opinions of this attraction are varied, but most people find it worth the effort. A number of travellers describe the place and the monument as beautiful. Visiting this attraction is more suitable for adults than for kids. A ride on board the tallest Ferris Wheel on the Old Continent. The London Eye offers unparalleled views of the United Kingdom's capital and a wide area around it. A 4D presentation of the city of London. Take a look at landmarks of London and the River Thames. Enjoy the presentation of the city by means of the 4D show. Observe La Manche and the European continent from the highest point during the ride. A standard or priority ticket depending on your choice. The travelers' reviews imply that the activity is very entertaining. Participants who booked a priority entrance ticket say that it is worth the difference in the price. 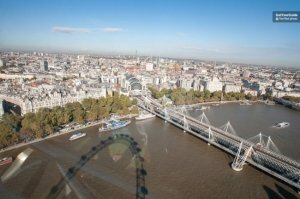 Ride on board the London Eye features fantastic views. Unless you don't tolerate heights, you are sure to enjoy the ride. Duration: The duration of the round trip and guided tour is approximately 5 hours. A guided tour of the Warner Bros Studios, the facility where Harry Potter came into existence. A deep insight about the film series. Transfer from London by train. Listen to guide that will reveal many interesting facts about the series. Tour the studios on your own after the tour. Get behind the scenes to see costumes and experience props and sets. A round trip ticket by train from London. Entry to the Warner Brothers Studios at the time specified on the ticket. Almost every participant in the tour had an awesome time during the guided tour. They have a high opinion about the guide's performance and professionalism. This tour is entertaining for people of all ages. Even if you aren't a Harry Potter fan, the reviewers agree that you will have a fantastic time nevertheless. A visit to one of the longest occupied castle complexes all over the world. A tour of the favourite royal residence to many kings and queens of England and Great Britain. The palace features opulent interior while the nearby chapel is a resting place to certain monarchs. Walk the favourite home of the Royal Family’s and its vast gardens. See the State Apartments and the Saint George's Chapel. Examine works of art by famous artists. Admission to the castle grounds, the palace and the Saint George's Chapel. Travelers who visited the Windsor Castle state that there is a lot to see and do. Some of them underline that the Saint George's Chapel is a very interesting place that you shouldn't overlook. This activity is suitable for people of all ages. A self-guided tour of one of the most iconic gothic structures in Europe. The Abbey boasts grand Gothic architecture and majestic stained-glass windows. Westminster Abbey shelters resting places to many famous British people. Learn the history of the abbey as you examine its exquisite decoration. Pay respects to famous people, including Charles Dickens, Isaac Newton and saintly king Edward the Confessor. Accompanying audio guide comes with the price of the ticket. 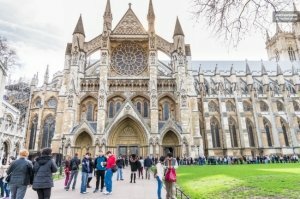 Considering the reviews of the abbey's visitors, there is a big chance for you to have the best time in London during your visit of this iconic attraction. A visit to the Westminster Abbey is suitable for children and adults. History buffs and admirers of grand architecture are likely to enjoy the visit the most. A sightseeing tour of London from the River Thames. An opportunity to lay eyes on many top attractions of London without the hustle and bustle of the city’s streets. A chance to disembark in Greenwich and tour its points of interest. Examine the riverside of London and nearby points of interest. Listen to the complimentary audio guide. Take great photos of the British Capital. A one-way or the return ticket. Accompanying audio guide for a deeper insight about the places along the Thames River. Most travellers share the opinion that the river cruise is a great way to spend some time in London. They also state that the tour is highly informative. The River Thames cruise offers a great introduction of the city. Participants of all ages can enjoy this activity. The London Zoo is home to wildlife native to many regions of the world. They live in the enclosures which emulate their natural habitats. Themed areas cater to both nocturnal and diurnal animals. Get acquainted with hundreds of wildlife species. Examine predators from up close. Benefit of a priority entry (if selected). A fast-track or the standard ticket. 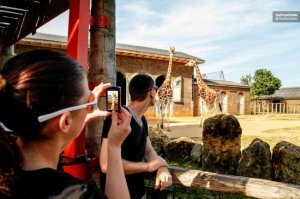 Comments indicate that visiting the zoo on a clear day is much more rewarding than on a rainy day as you are able t see more animals. Visiting the London Zoo is suitable for everyone, regardless of the age. This structure combines elements of science, religion, and history. The cathedral features a grand exterior and an amazing interior. It also has tombs of some historically memorable men and women. Witness the amazing decoration and astonishing proportions of St Paul’s Cathedral. Learn about the cathedral with a multilingual audio guide. Take a look at the crypt, ground floor and the Golden Gallery. The ticket to the St Paul's Cathedral includes a multilingual audio guide. 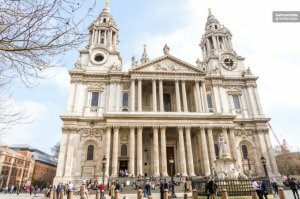 Positive reviews from travellers have rated a visit to the Saint Paul's Cathedral as one of the top activities in London. They also say that the audio guide is a big plus. A visit to the cathedral is one of the top activities for travellers in London. A visit caters to both children and adults. Duration: The tour of the London Tower and Tombs varies, but is around an hour in most cases. An opportunity to experience the London’s dark history first-hand. A chance to witness historic events that include large-scale catastrophes and crimes conducted in London’s shadowy suburbs. The London Bridge Experience also allows you to learn how it is to pass through the Hell's portal. Survive the great Fire of London. Keep your head on your shoulders after Boudica's attack on Roman Londonium. Try to avoid the unwanted attention of Jack the Ripper. An audio guide that will lead you through the experience. The comments of past visitors imply that this tour is both entertaining and insightful. They also have a high opinion about the actors' performances. This tour is the right thing to do for adventurers and historians. However, it isn't suitable for young children. One of the most famous wax museums in the world. The museum displays figures of many historic people and celebrities. Besides real people, the museum has figures of superheroes from films and printed media. Pose for a photo in the company of a celebrity or role model. Pay a visit to the Star Wars Experience. Ticket includes a visit to the Marvel 4D Experience and the Star Wars Experience. The vast majority of visitors had a great time at this attraction. They describe the wax figures exhibitions as outstanding. This entertaining activity is suitable for people of all ages. 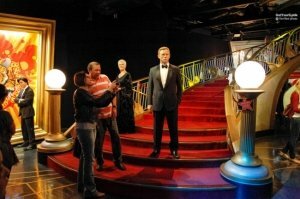 By visiting the Madame Tussauds, you are very likely to find your favourite celebrity or film character. A visit to a historically favorite residence to many British royals. 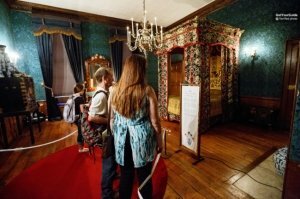 An opportunity to get closely acquainted with lives of Queen Victoria and Princess Diana. Tour of the palace's premises including the rotal families private collection and the charming palace gardens. Learn about Britains monarchy, its Kings and Queens and the Stuart dynasty. Admire the beauty of the Kensington Palace's gardens. A visit to the palace's rooms and apartments, and the attached garden. Most visitors had a good experience while visiting the Palace of Kensington. Many comments imply that a lot of time should be allowed for visiting the gardens. A visit to the Kensington Palace is the right thing to do for people tho are interested in history and gardening. It is also suitable for admirers of Princess Diana. 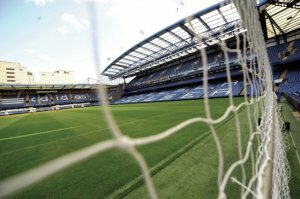 A guided tour of the Stamford Bridge Stadium and Chelsea FC. An overview about the history of football and some great players of this game. A chance to visit players' dressing rooms, the press room and other stadium's premises. Listen to a story of one of Englands favorite football clubs. Hear stories about some of the best football players in the history of this popular game. Benefit of touch screens and other interactive displays during the guided sport. A visit to the dressing rooms, players tunnel tunnel and the stadium's museum. Travelers state that this guided tour is a great and informative experience. They hold tour guides in high regard because of their knowledge and performances. This tour is a must-do activity for fans of the most popular sport. It is a day trip from London that introduces a the top points of interest near the city. A visit to Royal Windsor Castle. A tour of Stonehenge and the charming city of Bath. 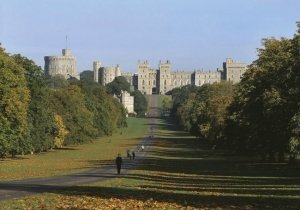 Explore the royal complex of the Windsor Castle. 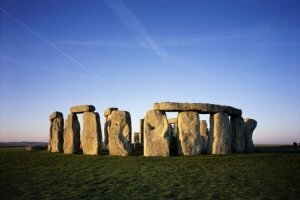 Take amazing photos of Stonehenge and learn how Neolithic people lived. Admire the Georgian architecture of Bath. Tickets for visits to the Windsor Castle and the Stonehenge. Most travellers had a great time on the tour, although they state that some things need improvement. Many of them praise the tour guide as a knowledgeable and devoted person. This tour reveals some extraordinary places near London and is ideal for anyone. The tour is suitable for people of different ages. Duration: Trip to Paris and the sightseeing of the city last approximately 14 hours. 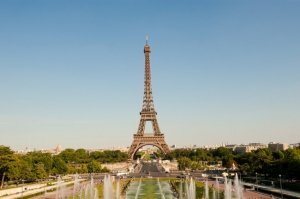 A guided tour to Paris, the capital of France and the "City of Culture." An opportunity to enjoy sightseeing of Paris by bus and on board the boat. After the guided tour, the participants could join a tour of the Louvre Museum. Tour Paris and see its spectacular attractions. Have lunch at the Eiffel Tower. Cruise along the Seine and admire Paris's UNESCO-declared riverbanks. A 2-course lunch at one of the Eiffel Tower's restaurants. The cruise on the Seine River and the city tour by bus. A visit to one of the most amazing cities in the world can't be a bad thing, which the reviews of the people that took part in the trip confirm. Absolutely, the French capital is "culture" and "art" embodied. The trip is pleasant and suitable for all ages. This is a convenient sightseeing tour of London one of the top city sightseeing tours. An opportunity to organize your own sightseeing itinerary. A chance to attend insightful walking tours. Learn about London as you get around by bus and listen to an accompanying audio commentary. See iconic landmarks, squares and parks within the British capital. Join the River Thames cruise. 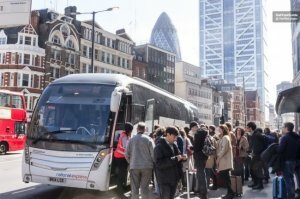 A 1- or 2-day ticket for London sightseeing. Complimentary river cruise and 3 walking guided tours. Travelers have left high reviews for this sightseeing London Tour. They also spoke recommended the staff and overall service. This tour is ideal for newcomers and repeated visitors to London. The activity is great for people of any age. Duration: This excursion out of the capital of the United Kingdom lasts around 10 hours. An opportunity to visit a few great destinations on a day trip from London. Traveling through the marvelous countryside. A visit to the medieval and historic Warwick Castle. Admire the beauty of the Cotswolds and its picturesque settlements. See the imposing walls of the Warwick Castle and learn about people who lived there. 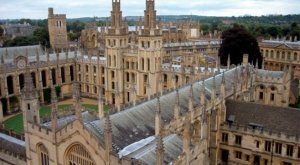 Visit the university town of Oxford. Getting around by a coach. Entry to the Warwick Castle. Most of tourists enjoyed the tour, albeit some things need improvements. This tour is especially interesting to fans of great architecture, beautiful landscapes and history. This pre-booked ticket gives you guaranteed entrance to the London Tower Bridge Exhibition. A chance to walk across a glass floor and feel like you are floating above the River Thames. 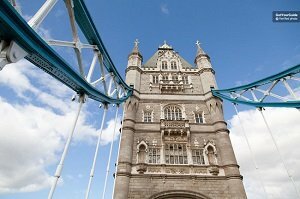 An opportunity to learn about the history of London and the construction of Tower Bridge. Take a stroll through the original walkways of Tower Bridge. Understand why and how this iconic London landmark was constructed. Visit the engine rooms and admire Victorian steam trains. Admission ticket to the London Exhibition Centre. Travellers who have visited the London Tower Exhibition have highly recommended this iconic London attraction. Comments agree that the old machinery is very interesting and fun to explore. The exhibition has very high ratings on both TripAdvisor and Get Your Guide. This is great for people who are interested in construction and architecture as well as anyone who wants to learn some of the history of London and visit one of it’s greatest attractions. Fun for families with children and suitable for disabled visitors. A chance to walk in the footsteps of royalty and visit the official home of Queen Elizabeth II. This is a convenient hassle-free ticket which will make a visit to this popular attraction run smoothly. 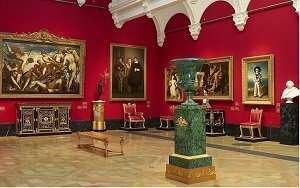 Use your pre-booked ticket to enter the Queens Gallery in Buckingham Palace. Admire masterpieces by the old masters, including Rembrandt and Rubens. See the original wedding dress worn by the Duchess of Cambridge in 2011. Admire stunning silver-gilt furniture and opulent architecture inside this majestic Victorian building. Travellers who have visited the Queens Gallery have said that the attraction was well organised, interesting and full of fabulous painting. Reviews indicate that the purchasing your ticket online makes visiting the gallery very easy and smooth. Visitors frequently talk about helpful and polity staff. Right for people who want to see some of the relics and artefacts belonging to the British Monarchy. Great for history lovers, specifically for those interested in the long and complex line of Britain’s Kings and Queens. This is a family friendly attraction and suitable for wheelchair users. This is a compact but comprehensive sightseeing tour of central London. An opportunity to come face to face with some of London’s most famous buildings and attractions. Peddle through the city of London on a fully guided small group tour. Stop to gaze up at the statue of Nelson standing high above Trafalgar Square, cross the famous Lombard Bridge and watch street performers in Covent Gardens. Learn about the modern metropolitan city from a live local guide. They generally agree that this is an enlightening and fun tour, and a very good way to see a lot of the Central London in a short space of time. People who have taken the tour strongly recommend their tour guides, indicating that they are fun, attentive, knowledgeable. The tour has very high ratings across major traveller’s platforms. 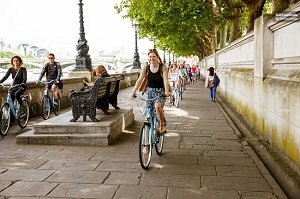 This tour is ideal for active travellers who want to the explore the British capital city on two wheels. Great for people on city breaks, you will cover many on London’s main landmarks in just a few hours. Suitable for adults and children over the age of 10. Recommended for people of at least a moderate fitness level who feel confident riding a bike. This is a chance to walk in the footprints of your favourite Arsenal players and learn about the wins, loses and achievements of this famous London based football team. This pre-booked combo ticket will save you the hassle of purchasing ticket on arrival and let you explore the stadium and modern museum at your own pace. See the pitch where hundreds of matches have taken place and take a seat in the Arsenal stalls. Walk the players tunnel and take a look at the home changing rooms. See trophies and memorabilia of the Arsenal football team. Entrance to the Emirates Stadium and Arsenal Museum. Multilingual audio guide (or live guide). Reviews for this combo tour are generally very positive. Football fans and their friends and family have indicated that the guided stadium tour is very well operated and that the pre-booked tickets are easy to use. Travellers have described the tour and venue as ‘brilliant’ and ‘excellent’. 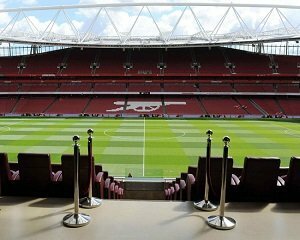 This is undoubtedly a combo tour aimed at footy fans and in particular Arsenal supporters, however you don’t have to be football crazy to enjoy a visit the Emirates Stadium and Museum. A hassle free transport pass and city sightseeing experience. 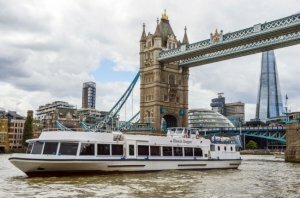 The Hop-On Hop-Off Bus and Boat services are very popular across Europe and the River Thames boat cruise is a fantastic way to get to know the British Capital. 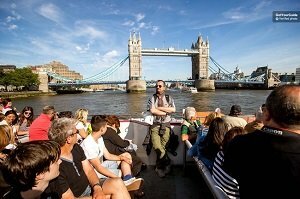 Discover the centre of London on the iconic Hop-On Hop-Off river boat service. Enjoy the freedom to travel on your own itinerary and hop-off at any of the designated stops. Learn about the city and its history from an onboard English-speaking tour guide. Access to all Hop-On Hop-Off boats for 24 hours. Travellers tend to agree that the Hop-On Hop-Off cruises have excellent onboard guides and that the 24-hour ticket is very good value for money. Comments say that the tickets are easy to use and that the wait to board the boat is short. People who have used the Hop-On Hop-Off boat with children indicate that it is suitable for all ages. This is great for people who want to see many major landmarks in the centre of London in just one day. This is also a happy medium between sightseeing a relaxing for travellers who want to take it easy. The river cruise is family friendly and suitable for all ages. The Shard has become one of the most iconic London buildings of the 21century. As the tallest building in the EU you can expect from impressive views from this skyscrapper’s 72floor. This reserved entry ticket will guarantee you’re entrance to this popular London attraction and let you choose your entrance time. Visit the Shard at your reserved time slot. Ride the high-speed elevator to the viewing platform and enjoy vast panoramic views over the city of London. Visit the multimedia exhibition and learn some of London’s history. Reserved entrance to the Shard’s 72floor and exhibitions. 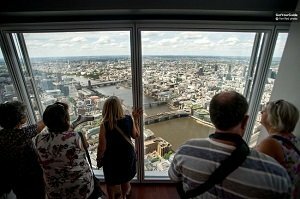 A visit to The Shard’s viewing platform has been highly recommended by travellers who comment that the view of London City Centre is unmissable and that the timed tickets are convenient. Reviews also agree that this is a worthwhile experience and one of the top things to do in London. Right for people without a fear of highs who can enjoy the best viewpoint that the city has to offer. The attraction can be enjoyed by people of all ages and is fully accessible to disabled visitors. 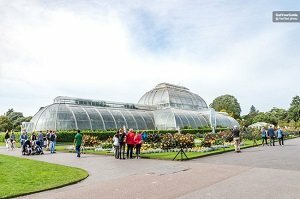 The Kew Gardens is a fantastic botanical garden/open-air green museum located on the outskirts of Central London. The park hosts a massive variety of plants from all around the works as well as art galleries and unique attractions. This entrance ticket will guarantee your entrance to the park without wasting hours in entrance queues. Skip the queue and roam this 121-hectare botanical garden at your own pace. Take a free guided tour of the gardens or explore independently. Walk in the treetops and visit the Temperate House. Visit Kew Palace a 10 story Pagoda. Entrance to Kew Gardens and onsite attractions. Free welcome booklet and park map. People who have visited the garden have highly recommended visiting while in London. Traveller have said that the site is one of London hidden gems and a that it is defiantly worth a visit. Overall comments indicate that pre-booked tickets are worthwhile. Perfect for families, kids will have the space they need to explore and adults can relax in this beautiful space. Also suitable for disabled visitors. A must for keen gardeners and nature lovers.